Take the River for All Survey! Partners around the community have working to create a river that can be used by everyone! We are looking for your help as we help in the implementing these plans and help in the development of the river's edge. 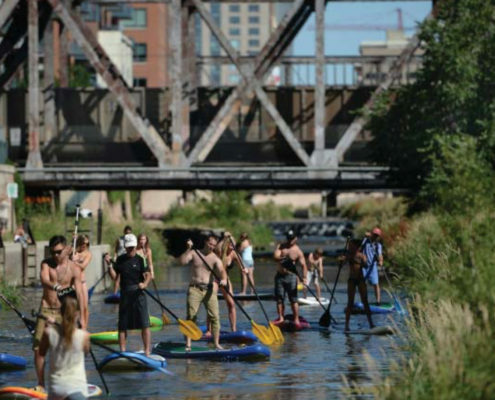 Let us know how you'd like the river to look across the Grand Rapids along the Grand River. Follow this survey to learn about the different landscape types, and choose where you'd like to see them implemented. Urban spaces will have a different look as well as different function than other spaces along the Grand River. 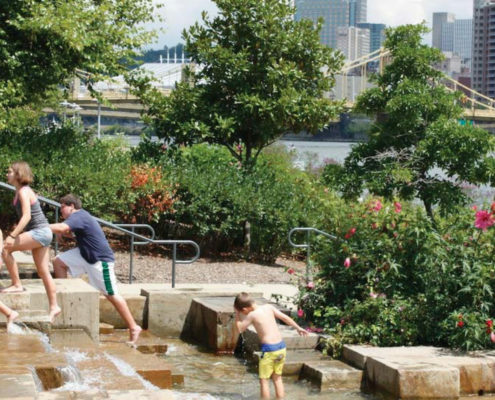 Here are a few examples of Urban spaces that we have seen across the country. Keep these designs in mind as you think about the various Grand River sections. Natural spaces are less hard and less polished than other spaces along the Grand River. Here are a few examples of Natural spaces that we have seen across the country. Adaptive Resuse spaces mix natural elements with harder edges. 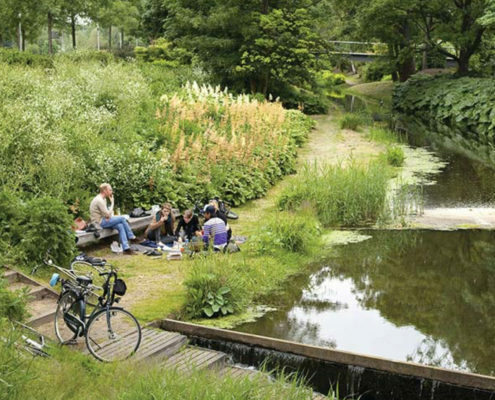 Here are a few examples of Natural spaces that we have seen across the country. 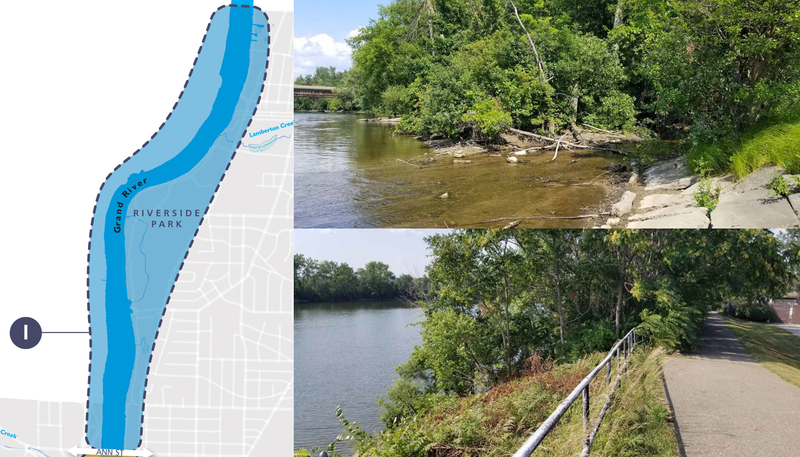 River section 1 is the far northern areas of the Grand River in Grand Rapids running alongside Riverside Park and down to Ann Street. River Section 2 is focused between Ann Street and Leonard Street. River Section 3 is focused between Leonard Street and Sixth Street. River Section 4 is focused between Sixth Street and US 196. River Section 5 is focused between Michigan Street and Pearl Street. River Section 6 is focused between Pearl Street and Fulton Street. River Section 7 is focused between Fulton Street and Wealthy Street. River Section 8 is focused between Wealthy Street south past Butterworth. River Section 9 is focused along the Grand River on the far south end of Grand Rapids. Sign up to learn more about the River for All project!